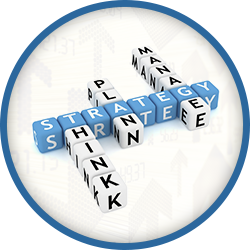 When using trading strategies for binary options, there is no better feeling, as a trader, than a successful trading session in which your trading strategies tick all the right boxes. There are numerous trading strategies for binary options which have been developed in recent years and while no trading strategies can guarantee a flawless success rate, trading strategies for binary options significantly increase the chance of maximizing one’s profit. A trader places a High/Low Call option on the EUR/USD pair at 1.3045 with a 15-minute expiry time. During the option’s lifetime, the market moves in the trader’s favor, with the pair’s current market price standing at 1.3080 (35 pips higher than the opening rate). The trader then notices that the EUR/USD is as high as it will get for the rest of the day and immediately places a Put option. This means that the trader now has a Call and Put option open at the same time. The pair is easing off its daily high and the initial option expires. This means that the trader has made two profits on the same asset, and can afford the risk of one losing option due to the profit of the other one. The thought process behind this strategy is simple and can be applied to different time frames: if a certain pair is experiencing volatility, it can be expected that the rate will not stay the same and will fall and rise without breaking Support and Resistance barriers. Fencing is another one of the most used trading strategies and is similar to Hedging in other modes of trading. This is one of the preferred trading strategies for binary options traders who wish to minimize their exposure on the markets. The best-case scenario for the trader would be for both trades to be profitable, however even if just one trade is successful, the trader would have considerably minimized the loss from the other one, with the help of one of the most popular trading strategies.